I’m now nearly halfway through the Live Below the Line challenge, and here are some pictures and additional cooking/eating commentary about my $1.50 a day menu. Please also refer back to my menu and ingredient list and my nutritional information breakdown. I have to prepare them from scratch daily, but I timed myself and cooking time including prep was only 15 minutes. I know that may still be too much time for some folks, but waiting in a busy drive-thru line can take 5-10 minutes on its own. 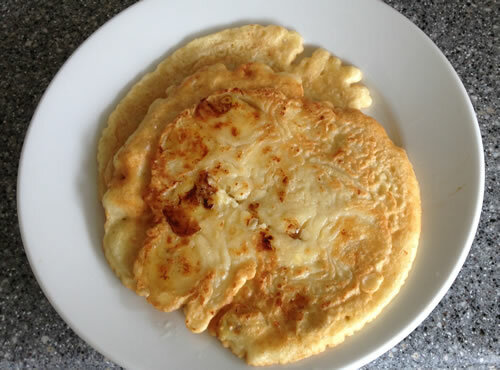 I simply whisk .75 cup flour, an egg, 1 cup water, and a little salt together to make a thin batter. Then add one sliced banana. While frying the second pancake, I clean up my mixing bowl, whisk, and measuring cups. When done eating, I simply wash my single plate and rinse/wash the nonstick frying pan. They actually taste good; I would eat them on any given weekend. I don’t really miss the milk found in the original recipe. I do wish I could alternate between apples and bananas, but apples cost too much for this challenge. For a bit more money, the variety would be nice. What are the Cheapest Vegetables Per Pound? I’m taking the Live Below the Line challenge this week, which means eating for 5 days on just $1.50 a day. I plugged all the ingredients from my $1.50 per day Sample Menu into the food diary at MyFitnessPal.com, and below is a screenshot of my breakdown of total daily calories as well as grams of fat, protein, and carbs. As you can see, I won’t exactly be starving. The “daily goal” is based on my height, weight, age and my stated desire to lose one pound per week. The total calories in my BelowTheLine daily intake are around 2,000, which a bit low for a male of my size, but may be too high for someone else. I’m actually too high in carbs, a little short on protein, and even shorter on fat. To compensate, I may add a little extra canola oil to my food with the 8 cents left in my budget. Most of my food is cooked and ready to go (pictures coming). Is it weird that my only wish right now is that I could drizzle on extra virgin olive oil instead? 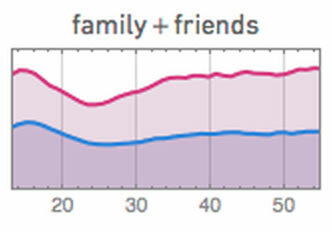 Here’s the chart for family and friends; I wonder if the drop in the 20s is due to a focus on finding a partner? 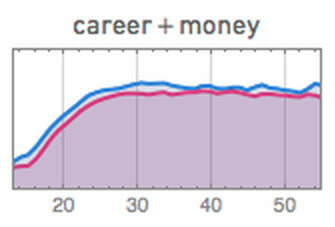 Other than that, the gap between men and women seems pretty constant. Live Below The Line Challenge $1.50/day – What to Eat? I recently learned about Live Below The Line, an annual anti-poverty campaign which challenges people to feed themselves on the equivalent of the extreme poverty line for five days. According to the World Bank, that works out to spending less than US$7.50 total ($1.50 per day). I’ve accepted the challenge, which will run from April 29th to May 3rd, 2013 (Mon-Fri). So… 7 bucks and 50 cents. What should I buy? 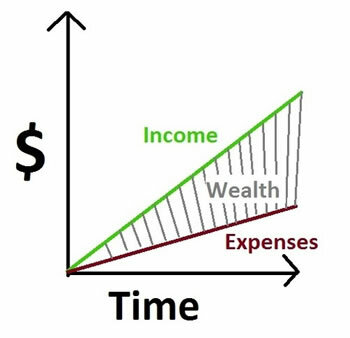 Specifically, if you plotted all your income and expenses over time, the shaded area between would the amount you’ve saved your entire financial life. Bigger shaded area, bigger nest egg. AFter calculating the new savings bond rate, I noticed that from March 2012 to March 2013 the inflation rate per the Consumer Price Index was only 1.5% over the past year. Whenever you see the government announce a relatively low inflation numbers, there will always be people shouting “the government manipulates the inflation data!”. I looked into this previously with my post Does The Government Underestimate Inflation Through The CPI? Short answer: Yes they do, but maybe not in the way you think. Usually, this is followed by the anecdotal argument “Does gas ever go down? Does your rent ever go down?”. It certainly feels like prices are rising quicker than that. My water bill just got hiked another 10%. The thing is, we always notice the increases, but tend not to notice when prices drop. When something is cheaper, we just chalk it up to being great bargain hunters. Truth is, gas prices did go down for a while. Another way to keep an eye on inflation is with MIT’s Billion Prices Project (previous post) which tracks prices in real-time by grabbing them from websites. By checking on 50,000+ different prices daily covering everything from prescription drugs to clothing to real estate, this alternative inflation measurement has the potential to keep governments “honest” with their numbers. Bottom line. 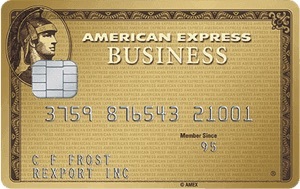 The new The Business Gold Rewards Card from American Express is a premium charge card for small business that includes the classic American Express features like excellent customer service and customer-friendly protections. The card now offers the ability to earn 4X Membership Rewards® points on the 2 select categories where your business spent the most each month. New inflation numbers for March 2013 were just announced, so it’s time for the usual semi-annual update and rate predictions. September 2012 CPI-U was 231.407. March 2013 CPI-U was 232.773, for a semi-annual increase of 0.590%. Using the official formula, the variable component of interest rate for the next 6 month cycle will be approximately 1.18%. The new fixed rate is nearly guaranteed to be zero, so the total rate will be 1.18% as well. If you have an older savings bond, your fixed rate may be different. If you buy before the end of April, the fixed rate portion of I-Bonds will be 0.0%. You will be guaranteed the current variable interest rate of 1.76% for the next 6 months, for a total rate of 0 + 1.76 = 1.76%. For the 6 months after that, the total rate will be 0.0 + 1.18 = 1.18%. Let’s say we hold for the minimum of one year and pay the 3-month interest penalty. 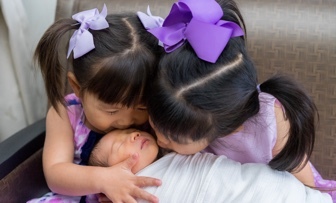 If you buy on April 30th and sell on April 1, 2013, you’ll earn a 1.28% annualized return for an 11-month holding period, for which the interest is also exempt from state income taxes. This is better than any 1-year bank CD that I can find right now, keeping in mind the liquidity concerns and the purchase limits. If you hold for longer, you’ll be getting the full 1.47% over the first year. Given the combination of current low rates and the fact that you lose the last 3 months of interest (again, for holding less than 5 years), it might be better to wait long enough to grab 12 full months of interest by holding for 15 months (14 buying late). If you buy on April 30th and hold until July 1st, 2014, you’d achieve a annualized return of ~1.26% over 14 months. After that, you can see what the new rates are and decide whether to keep holding them. The Vanguard Total Stock Market Index Fund is one of the largest funds in the world, and definitely the largest index fund. For individual retail investors, it is available in mutual fund flavors (VTSMX, VTSAX) as well as ETF flavor (VTI). Across all shares classes, there is currently over $230 billion dollars of total assets invested in this fund – that’s nearly a quarter of a trillion dollars! If you own a Vanguard Target Retirement or LifeStrategy fund, you own this fund as well. So let’s try to understand what’s inside. Despite the name, the Vanguard Total Stock Market Index fund only tries to represent all the stocks in the U.S. equity market, from big to small, from financial companies to shoe store chains. The fund is currently transitioning from tracking the MSCI US Broad Market Index to the CRSP US Total Market Index. 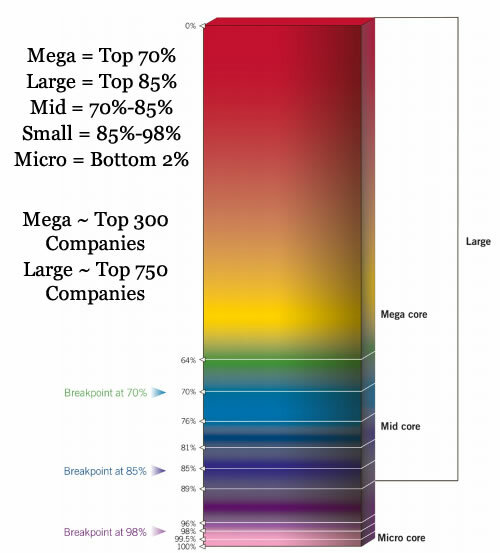 These are both market-cap weighted indexes, which means that the amount of each stock held is directly proportional to the total market value of the company. In other words, if all Nike shares together are worth $50 billion while Skechers is worth $1 billion, then the index would hold 50 times more Nike than Skechers.